It's possible to send new SimpleSat feedback to a MS Teams channel through a Zapier webhook. Here's how it works. In your Zapier account, create a new Zap and choose SimpleSat as the trigger. 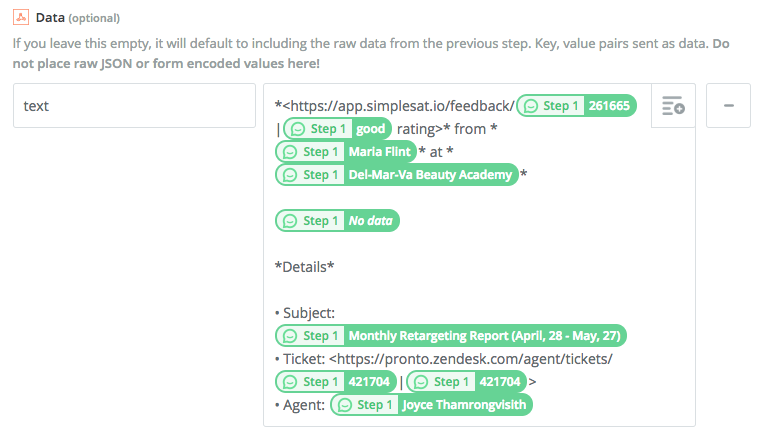 If you haven't added SimpleSat to your Zapier account yet, here's how to do that. Choose Webhooks as the Action App. 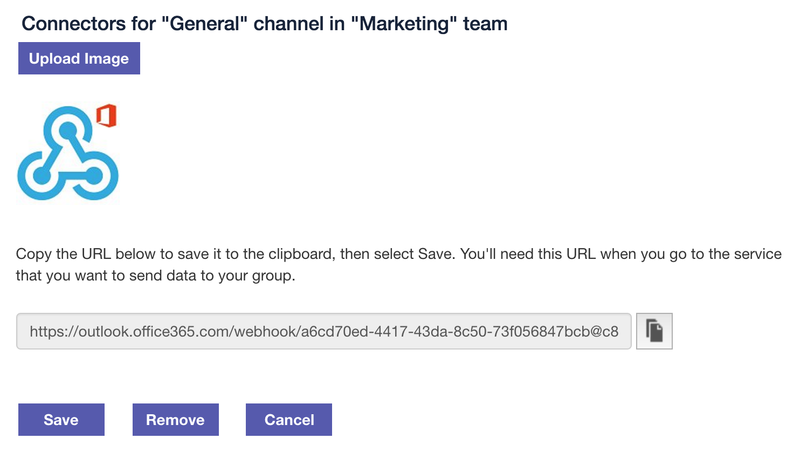 Paste the webhook URL generated by your MS Teams channel. Select Json as the Payload Type. In the Data section, enter textas a key and then the message template you'd like to appear in your channel messages. You can start with the suggested template below or build your own. When you're finished, click Continue and test the Zap. You should instantly see the latest feedback from your SimpleSat account in your MS Teams channel.